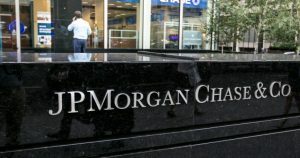 JP Morgan Chase, one of the most important banks in the world and in the United States, has recognised that cryptocurrencies pose a risk to its businesses. The information has been presented on February the 27th, in its annual report to the US Securities and Exchange Commission, also known as SEC. If the financial and banking industry was a competitive market, now it has a new powerful competitor, cryptocurrencies. The report presented by JP Morgan explains that new competitors (cryptocurrencies), have emerged and are threatening JP Morgan’s operations. The bank is already working with blockchain technology and producing its own cryptocurrency to transact money from one place to the other. Clearly, the bank is trying to innovate in order to be able to compete with cryptos and other financial services. But JP Morgan is not the only bank that is worried about the future of the financial market. Bank of America, another important bank, has released its SEC annual report that explained similar worries. During the last year, JP Morgan’s CEO, Jamie Dimon, said that Bitcoin is a “fraud” and that people that invest in cryptocurrency are stupid. He went on adding that if he knows that there is an employee in the bank trading cryptos, he would not hesitate in fire him.